A blog for short story writers, poets and readers. but I swept it off. that threatened everything below it. licked and rolled the thing. I heard the wind, it whispered again. The whisper before the roar. A flick, a flame, and a snap. Apart from the ashy glow. I tried to think of something. Her lips drew again on the cigarette. I let the moment pass. One more glow on the ember. She turned and walked away. I could have looked away. But it would still have happened. He had mistimed his suited, leather brogue-d jog. Buses are faster these days. I think that’s what threw him off. He drew level with the black water. The bus arrived on time. The soaking could not have been more. Almost as if he wanted it. If he had, he could not have timed it better. Even his hat was wet. 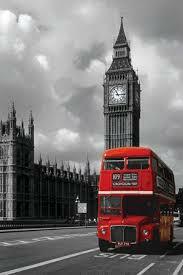 Turned and looked at the big red bus now long gone. He held his hands out to the side. A look to the sky. A religious man, I thought. Maybe that soaking was the last straw. God hates me, he thought. I don’t even have God. he still be happy with God? this man and his faith in the almighty? A large puddle and a bus? A drenched suit and hat? Perhaps he was just cursing the rain clouds? This is a good place to sit, I thought.